As a Pediatrician board certified in Pediatrics and Integrative Holistic Medicine, my major focus has been determining the causes of all the chronic diseases that afflict modern society. The dangers of aspartame have been diluted over the years by the studies sponsored by the industry that stands to profit from the sales of this poisonous sweetener. 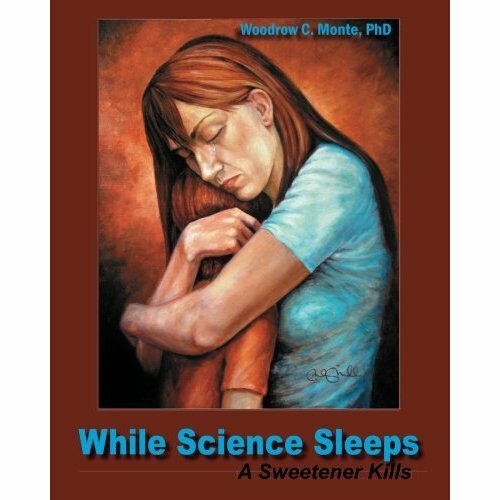 This book “While Science Sleeps” not only gives the history of the battle to block its approval by the FDA from a professor (author) who was there at the time, but gives the basic chemistry and a clear explanation of the deadly toxic effects of aspartame. As an ignorant (should have known better) consumer of diet coke and gum, both containing aspartame, your book has likely saved my life and is a must read by anyone who uses aspartame or knows anyone who uses aspartame. Brilliant, simple to understand and loaded with vital health facts. Best book I have read in years! Monte, Woodrow. While Science Sleeps: A Sweetener Kills. Something very wrong is going on, something that is killing good people and causing untold suffering to families and communities around the world. Never has such a high percentage of us been afflicted with so many tragic and wasting illnesses. In the past thirty years, a group of diseases has reached epidemic proportions in the United States and many other countries. These afflictions, often collectively referred to as diseases of civilization (DOC), include multiple sclerosis, Alzheimer’s disease, breast cancer, lupus erythematosus, rheumatoid arthritis, melanoma, and autism, a once rare birth defect. Because the incidence of these diseases has increased gradually over three decades, we are inclined to accept this as a natural, if unfortunate, part of modern life. But such a lethal trend is not natural; the changes that we have witnessed over the last generation are unprecedented in the history of medical science. Until 200 years ago, methanol was an extremely rare component of the human diet and is still rarely consumed in contemporary hunter and gatherer cultures. With the invention of canning in the 1800s, canned and bottled fruits and vegetables, whose methanol content greatly exceeds that of their fresh counterparts, became far more prevalent. The recent dietary introduction of aspartame, an artificial sweetener 11% methanol by weight, has also greatly increased methanol consumption. Moreover, methanol is a major component of cigarette smoke, known to be a causative agent of many diseases of civilization (DOC). Conversion to formaldehyde in organs other than the liver is the principal means by which methanol may cause disease. The known sites of class I alcohol dehydrogenase (ADH I), the only human enzyme capable of metabolizing methanol to formaldehyde, correspond to the sites of origin for many DOC. Variability in sensitivity to exogenous methanol consumption may be accounted for in part by the presence of aldehyde dehydrogenase sufficient to reduce the toxic effect of formaldehyde production in tissue through its conversion to the much less toxic formic acid. The consumption or endogenous production of small amounts of ethanol, which acts as a competitive inhibitor of methanol’s conversion to formaldehyde by ADH I, may afford some individuals protection from DOC.
. . . Read the full article. Translated thanks to Mrs. Pauline Laumans. Review of "While Science Sleeps" by emeritus professor of chemistry at the University of Western Ontario in London Canada. International Health News devoted the entire June issue of their International Health Newsletter to the book review. The Truth about all the testing that Ajinomoto claims proves aspartame SAFE! Multiple Sclerosis: The Cause and the Solution Uncovered–at Last! Open Letter to European F. S. A. 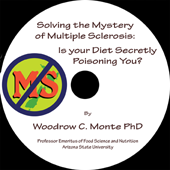 Solving the Mystery of Multiple Sclerosis: Is Your Diet Secretly Poisoning You? Translated thanks to Mrs. Pauline Laumans .